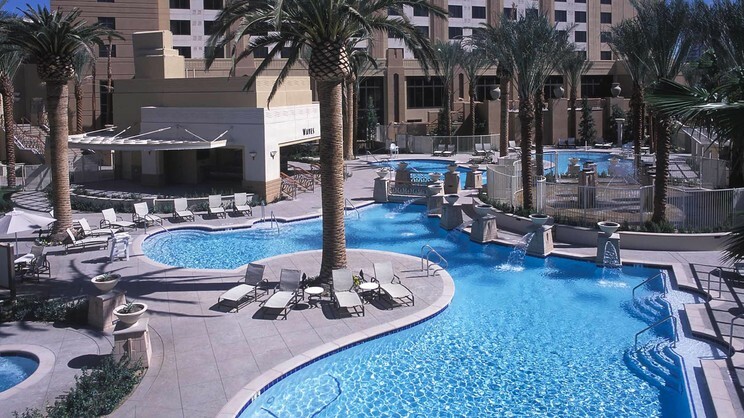 Enjoy a luxury break at the stunning Hilton Grand Vacations on The Las Vegas Strip. This casino-free, family-friendly hotel provides studios and suites overlooking the bright lights of the city Be pampered at the eforea spa, or cool off in the 2 outdoor swimming pools. For those wanting some peace and quiet, an adults-only hot tub is also available to use. Looking for a laidback property that’s still in the heart of the action? Choose Hilton Grand Vacations on The Las Vegas Strip. There are a number of shops, bars, cafes and restaurants in the vicinity of Hilton Grand Vacations on The Las Vegas Strip. McCarran International Airport is approximately 7km away of Hilton Grand Vacations on The Las Vegas Strip.